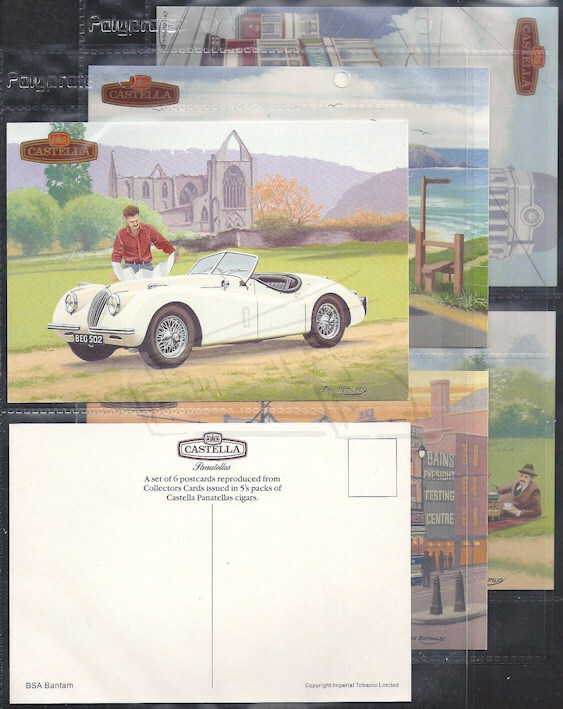 Bottomley painted a series of car illustrations for Castella Cigar cards. Profile about him and art in Classic and Sportscar magazine January 1999. 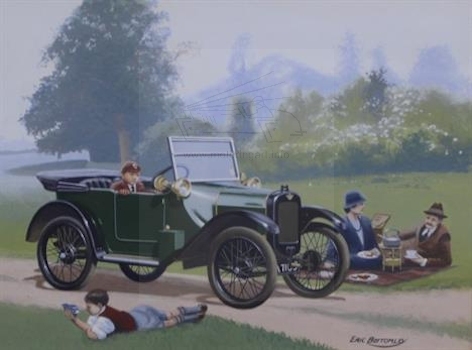 Besides the cigarette cards six of the images were issued as postcards. 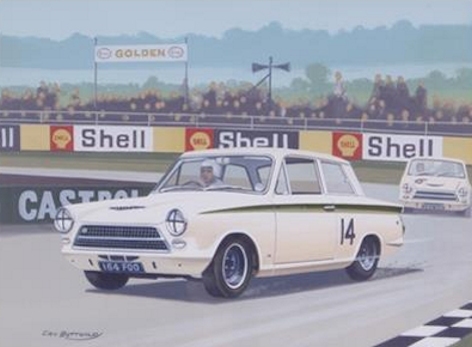 Lotus Cortina painting for Castella Cigar card. 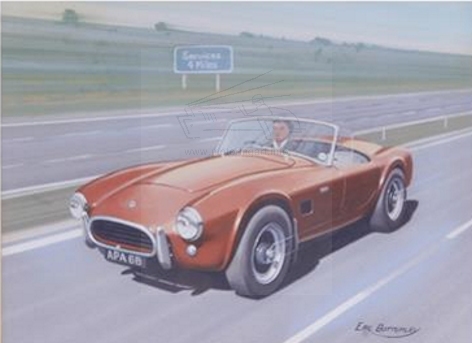 AC Cobra painting for Castella Cigar card.